Registration for this year's fundraiser is now live! Sign-up today! 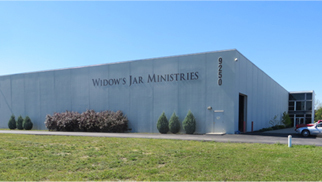 Widow's Jar Ministries is a 501(c)3 public charity created to provide needed supplies to gospel preaching missionaries around the world, and to encourage Christians to participate in this ministry through the donation of funds, goods and services. In 2016 we serviced 147 missionaries and mission works. We hope to double that number in 2017 as word spreads about the integrity of our warehouse. Visit here to view mission trips we have supported in Russia, Mexico, Costa Rica, Panama, Haiti, and China.